A very special treat, a bottle of fabulous 1966 Armagnac Baron De Lustrac Brandy makes a perfect gift for a 50th Birthday or Golden Anniversary (or just because you enjoy the finer things in life). 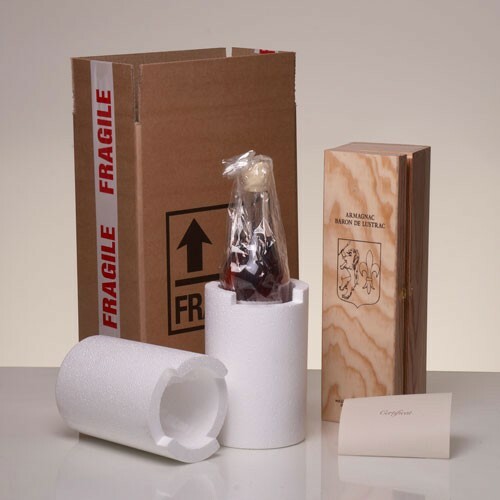 With the vintage displayed on the label and a certificate of authenticity included, this really is a gift to treasure and to make it distinctive, the stunning wax-sealed bottle is beautifully gift packaged with a tissue-lined wooden box and your personal message on one of our gift tags, so it’s ‘ready-to-give’ (or why not let us send it straight to the recipient on your behalf). 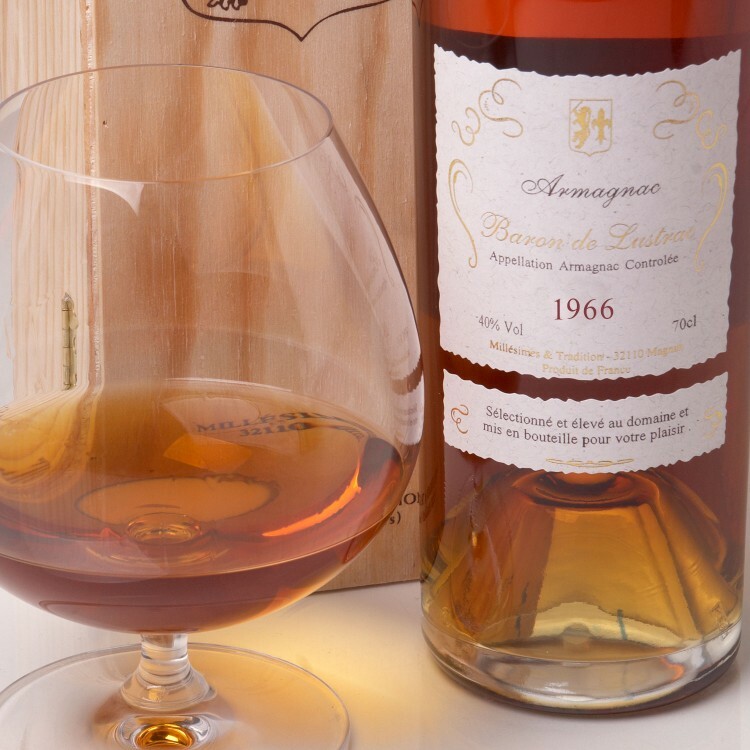 A wonderful gift to celebrate a half century of age, marriage or even a company’s 50th corporate anniversary – what could be better than raising a glass of divine Armagnac from the same vintage? Created by a small independent specialist producer located in the Gascony region of South West France, this Armagnac is an amber colour with hints of pear & vanilla. 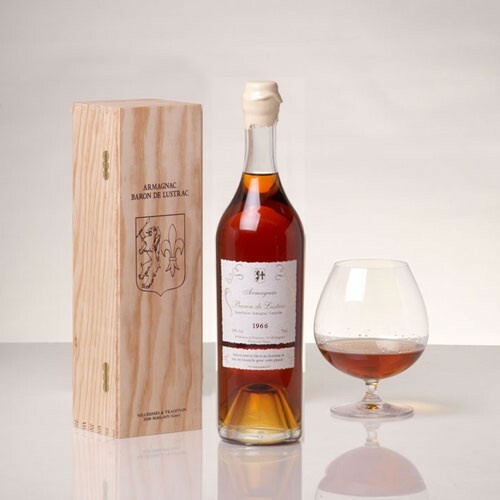 Unlike a vintage wine, this superior spirit can be enjoyed over a number of months once opened, ensuring the celebrations continue! 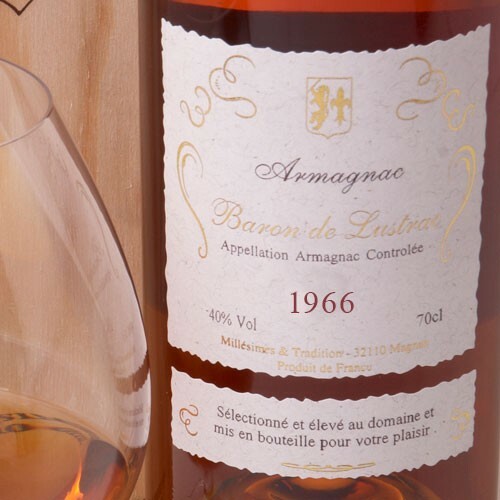 1966 Baron de Lustrac Armagnac is available now for priority dispatch – so order before 2pm and we can get it to you the next working day!